The Myanmar cyclone has killed more than 15,000 people, the secretive nation said Tuesday, amid fears thousands of others are also dead in one of Asia's worst natural disasters. With the military junta under fire over its handling of the tragedy, foreign aid teams described scenes of horror -- rice fields littered with corpses, and desperate survivors without food or shelter four days after the storm struck. 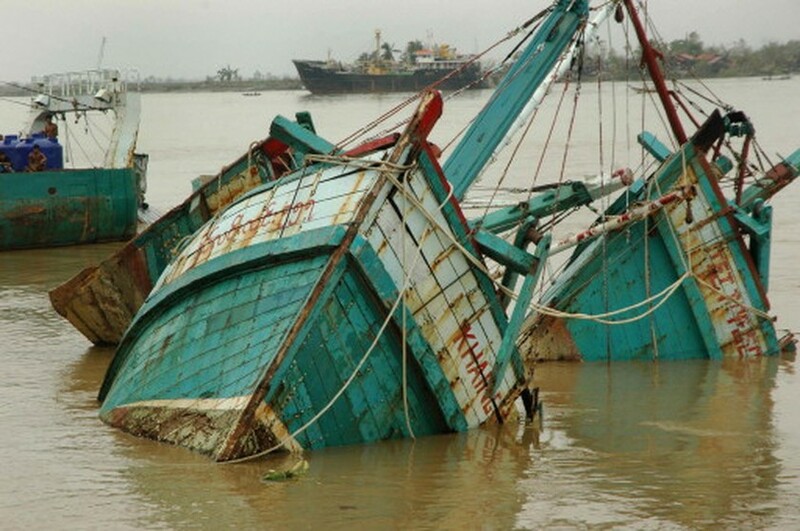 Tropical cyclone Nargis wiped away entire villages in the Irrawaddy river delta when it struck overnight Friday, wreaking destruction on a country that is already one of the poorest on the planet. 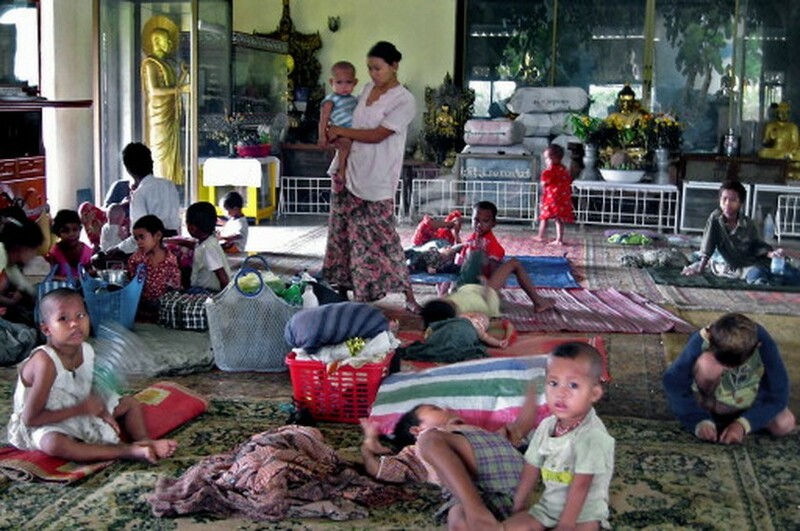 Christian relief organisation World Vision, one of the few international agencies allowed to work inside Myanmar, said its teams had flown over the most affected regions and witnessed devastation on the ground below. "They saw the dead bodies from the helicopters, so it's quite overwhelming," Kyi Minn, an adviser to World Vision's office in Myanmar's main city of Yangon, told AFP in Thailand by telephone. "The impact of the disaster could be worse than the (2004) tsunami because it is compounded by the limited availability of resources on top of the transport constraints," he said. Aid groups were rushing to bring food, clean water, clothing and shelter into the country, whose military rulers have long spurned most of the outside world -- and prevented many aid groups from operating in the isolated nation. But Foreign Minister Nyan Win acknowledged on Monday night that his country, formerly known as Burma and ruled by the military for the last 46 years, needed urgent help from abroad. "We will welcome help," he said. "Our people are in difficulty." The death toll has been rising by multiples of 10 or even 30 at a time, as the true scope of the destruction from Nargis -- which barrelled into Myanmar with winds at 190 kilometres (120 miles) an hour -- becomes known. The New Light of Myanmar newspaper, which like all media here is strictly controlled by the junta, said that in the latest count more than 15,000 people had been killed -- 10,000 in the town of Bogalay alone. In Yangon, formerly the capital before the generals installed their seat of power in a remote enclave, most phone and electricity services were still out. The United Nations said it believed hundreds of thousands of people had been left homeless in the Yangon region alone, and there was risk of disease spreading in the absence of proper shelter and drinking water. Footage on state television showed boats washed away and houses caved in, massive trees uprooted and tossed into the streets like toys, and massive destruction across an area that is the country's primary rice-growing region. US First Lady Laura Bush, one of the fiercest international critics of Myanmar's government, accused the ruling generals of not doing enough to warn their people before the cyclone hit. "Although they were aware of the threat, Burma's state-run media failed to issue a timely warning to citizens in the storm's path," she said at the White House. "The response to the Tropical Cyclone is just the most recent example of the junta's failure to meet its people's basic needs." Myanmar has long been a target of international criticism, not least because of its long detention of democracy icon and Nobel Peace Prize winner Aung San Suu Kyi. State television said a constitutional referendum this weekend meant to be a step on the road to restoring democracy would go ahead everywhere except 47 townships hardest hit by the disaster. In the meantime, governments across Asia and around the world were offering help to Myanmar -- including critics such as Australia and even the United States, which has repeatedly imposed tough sanctions on the junta. "They are accepting and even requesting international assistance," said Richard Horsey, a spokesman for the UN Office for the Coordination of Humanitarian Affairs in Bangkok. "Getting it out to the affected populations will be a major challenge, given that there is widespread flooding," he told AFP. "The urgent need is for shelter and for water. Without clean drinking water, the risk of disease spreading is the most serious concern." The UN's food agency said that the destruction also threatened rice exports which it was hoped would ease shortages in Sri Lanka and Bangladesh amid soaring global food prices.